U.S. Watches Greece's Debt, Will It Spread? February 26, 2010  European Union officials have told the Greeks they have to get their budget deficit under control if they want help to pay off their huge debts. 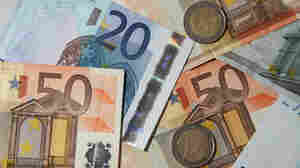 Greece uses the common European currency, the euro, so its neighbors have a stake in what happens there. Increasingly, so does the United States. February 25, 2010  Goldman Sachs and other big banks have been accused of helping Greece conceal its financial problems from investors and EU regulators. It also may have helped aggravate the country's fiscal troubles by helping investors bet on the possibility of a default through the use of credit default swaps. February 25, 2010  The roots of car manufacturing run deep in northern Indiana. AM General produced the Hummer H2 for General Motors for the past eight years at a plant in Mishawaka. 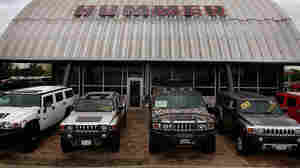 Even though they're still building vehicles for the military, the end of Hummer production could threaten their jobs. February 25, 2010  With national unemployment hovering just below ten percent, UI benefits will end for one million Americans on February 28th, and for four million more, in the months that follow if Congress fails to take immediate action. The Nation's Peter Rothberg says a renewal needs to happen. 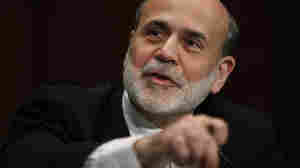 February 24, 2010  Federal Reserve Chairman Ben Bernanke told lawmakers Wednesday the Fed needs to keep interest rates low to aid the economy "for an extended period." 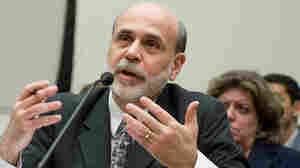 He used his semi-annual report to Congress to emphasize his concerns about both unemployment and the budget deficit. February 24, 2010  The Federal Reserve chairman tells a House panel the low rates remain necessary to ensure that the economic recovery will last, and to help cushion the effects of high unemployment. February 24, 2010  The unemployment rate is nearly 10 percent, but even after it starts to come down, it will likely be years before most workers see real increases in salaries, experts predict. February 24, 2010  The Obama administration's foreclosure prevention plan, the Home Affordable Modification Program ("HAMP"), offers subsidies to the financial industry to modify mortgages — but hasn't been enough. Brad Miller suggests FDR's 1933 HOLC model would work just as good today. February 24, 2010  Federal Reserve Chairman Ben Bernanke goes to Capitol Hill to deliver the Fed's semi-annual report on the economy and monetary policy Wednesday. David Wessel of The Wall Street Journal talks with Renee Montagne about the state of the global economy. February 24, 2010  GM is adding 1,200 jobs at its assembly plant in Lordstown, Ohio, to make the fuel-efficient compact Cruze. GM North America President Mark Reuss drove from Detroit to Lordstown in a Cruze, calling the compact the rebirth of the company. Reuss says the plant will rehire a full shift of laid off workers to make the vehicle.